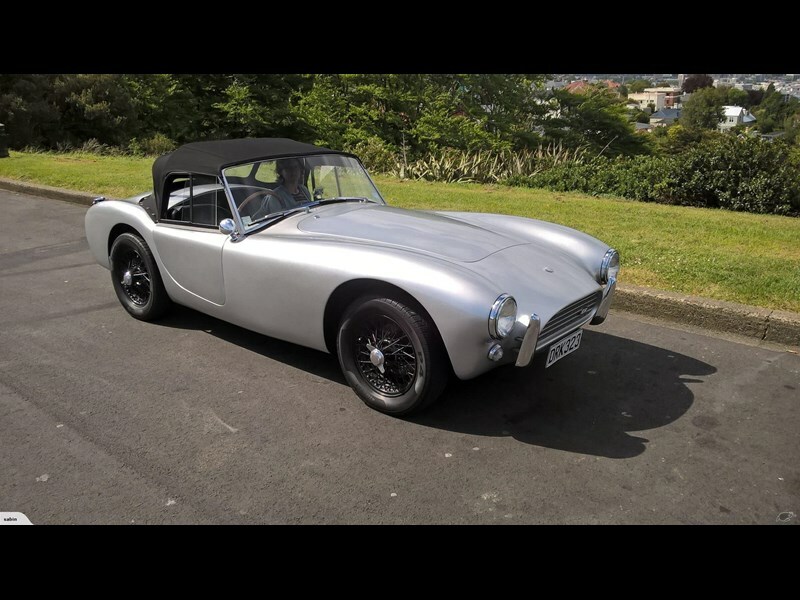 1961 AC Ace RS. RS stands for Ruddspeed conversion. A great amount of time and care has been taken to re-create a car as close to the original Ace RS as possible. 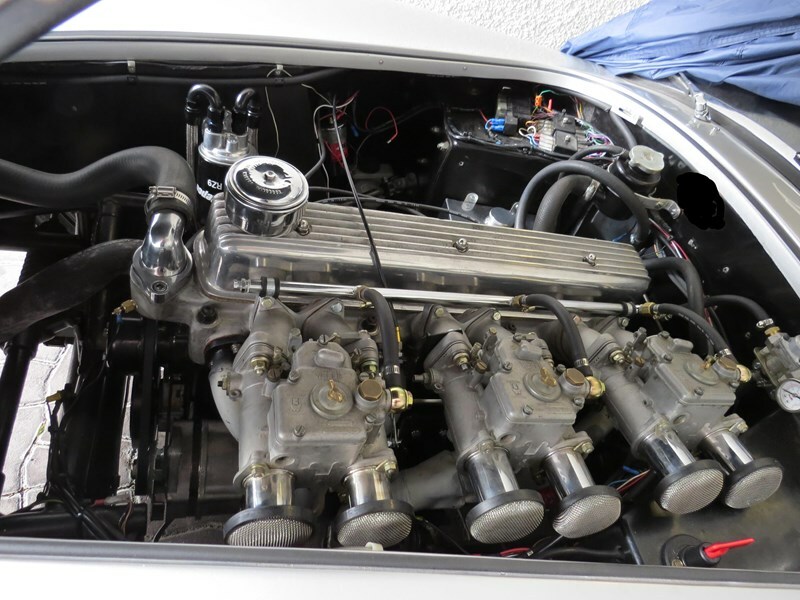 The Zephyr engine has undergone a Ruddspeed stage 4 conversion. 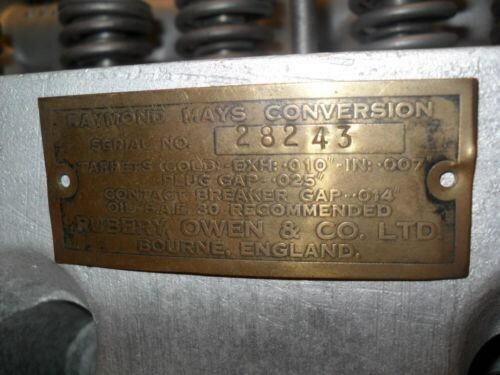 This engine is newly built at great expense The AC has an original Raymond Mays 12 port aluminium head made & marketed by Rubery Owen and Co LTD of Bourne. The head was designed & developed by the technical associates of Raymond Mays. The engine has been over bored and stoked to 2880cc. This has been achieved by using CF Bedford con rods and oversized Chrysler 225 piston. The engine and flywheel have been blue printed & balanced. 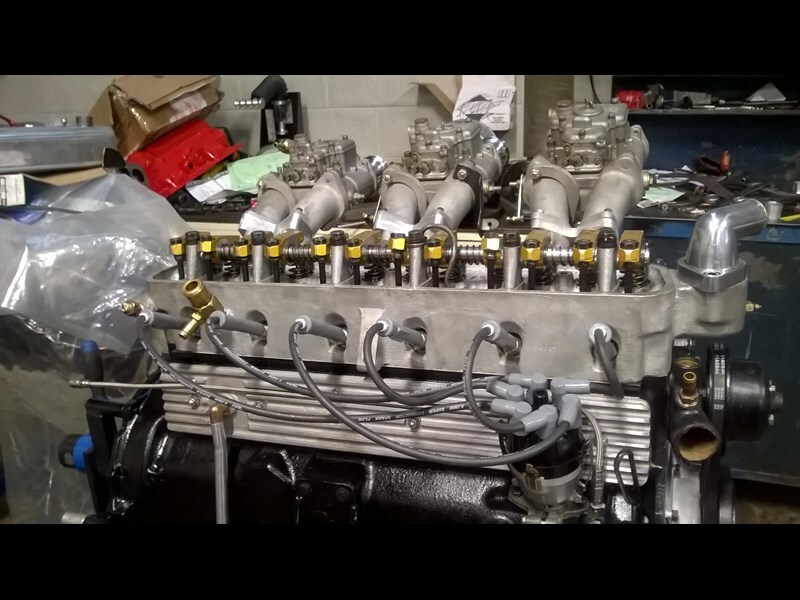 The cylinder head has had extensive head work with the addition of high quality US valve springs and oversized valves. Roller rockers have been adapted to allow the use of a high lift camshaft. 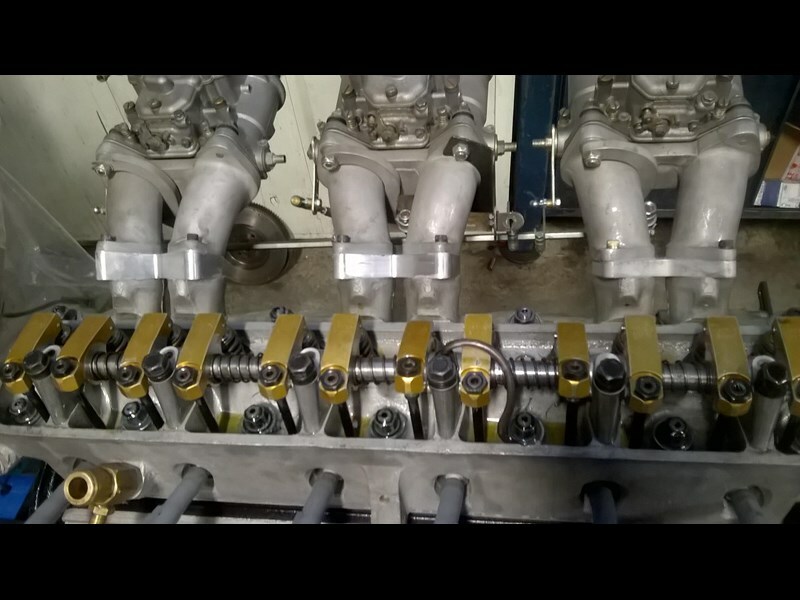 New genuine old stock Italian made Weber 40 DCOE carburettors complete the cylinder head. 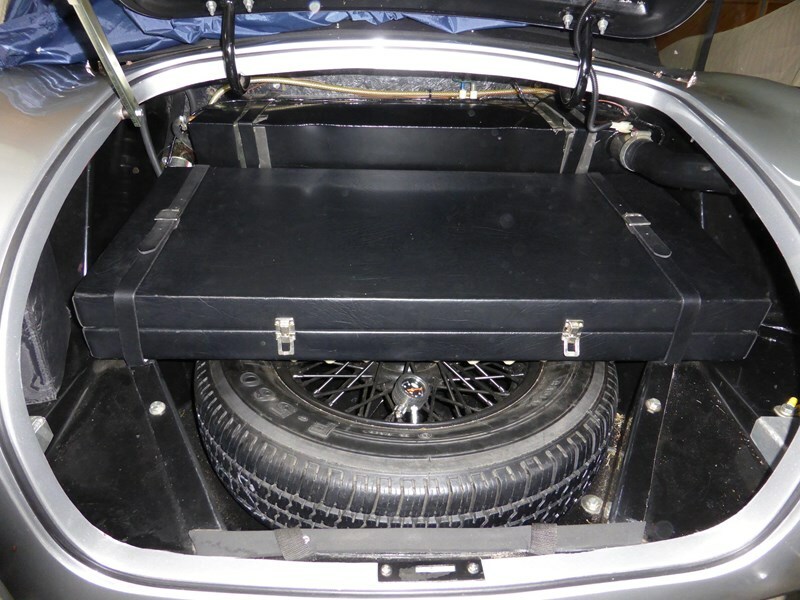 Furthermore, the AC has electronic, ignition, extractors, twin pipe exhaust system with period resonators. The transmission is a W40 4 speed. The new engine has completed 500 miles. 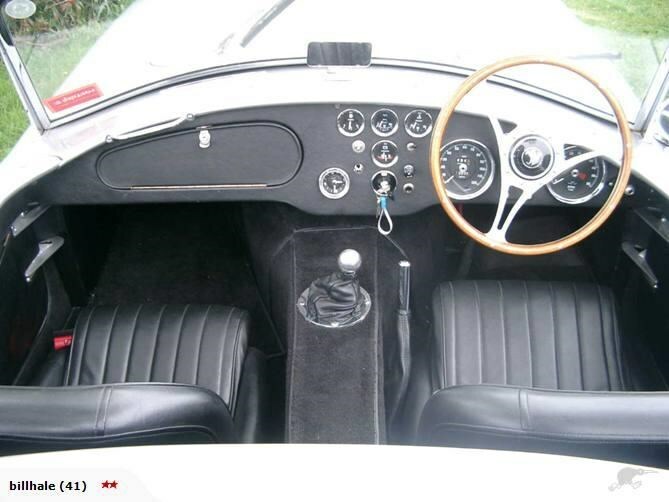 The AC is vintage car certified as the car is built from period 1960 parts. A new mohair soft top has been fitted with sliding side windows the car also has a mohair tounneau cover. 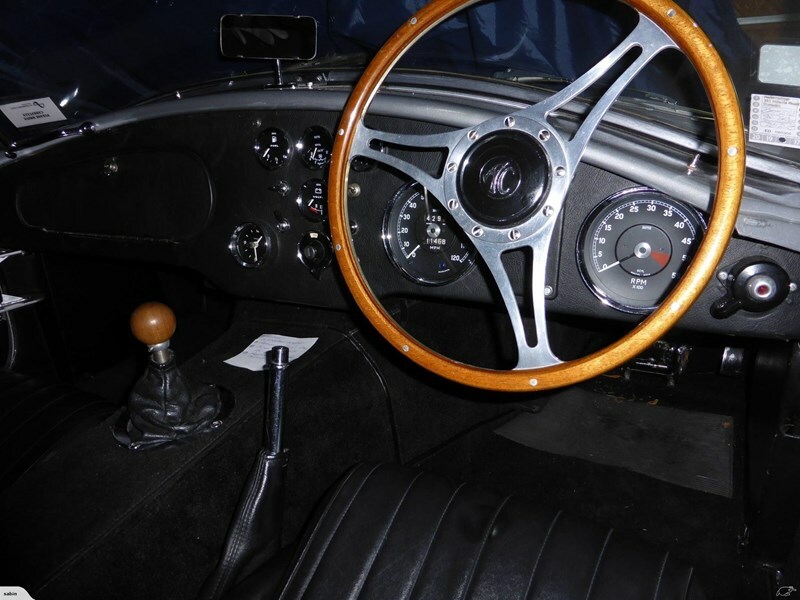 The car has period interior instrumentation & switches, including a heater demister, ACE steering wheel and cast AC alloy pedals. The chassis & fibreglass body were manufactured in 1997 by Gerry Hawkridge of Hawk Cars UK . 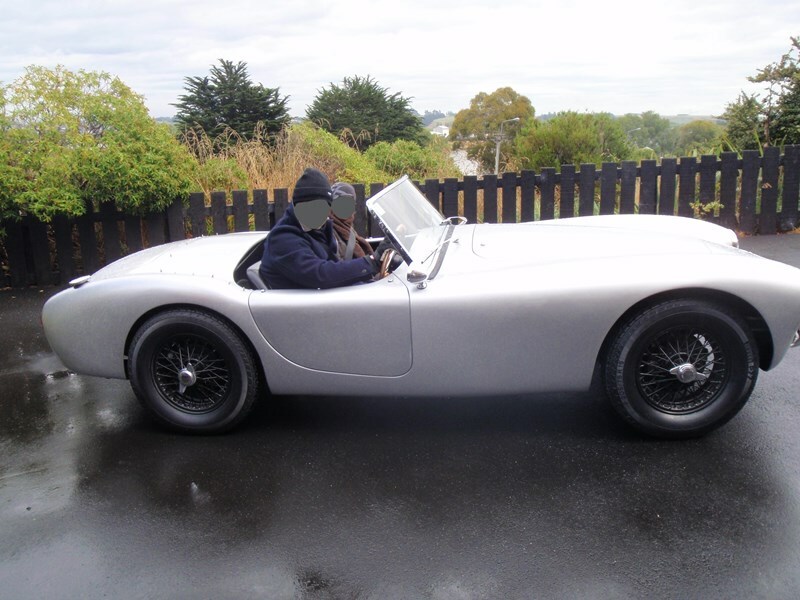 This is one of only twelve ACE 2.6 bodies produced by Gerry, making this a rare car. Like the production run of the original AC ACE 2.6 cars where only 37 cars were produced. 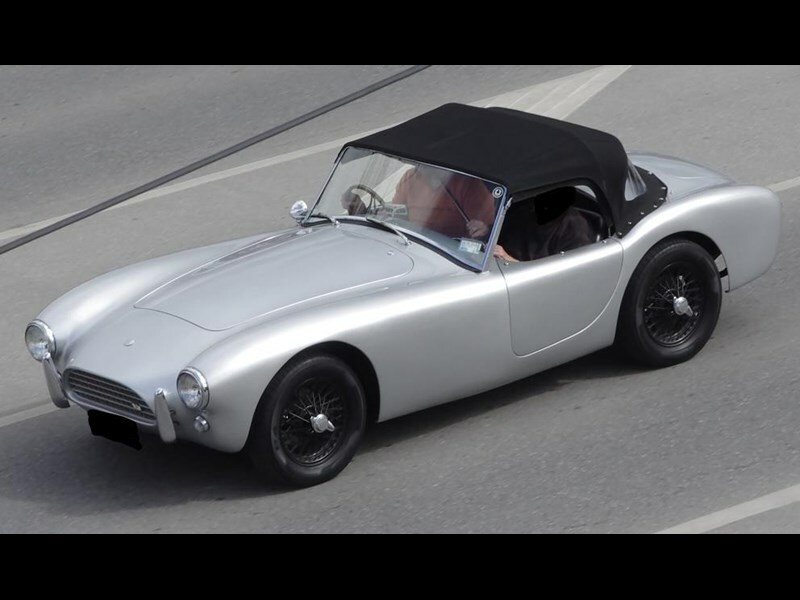 The Hawk chassis is the closest recreation to the original & is industry recognized as such with Gerry Hawkridge supplying many AC ACE and Cobra replacement parts to original car owners. The chassis is manufactured to the original specifications using 3 1/2 round tube twin rail with outriggers. Chassis No GH03130225 Registered as 1967.